"Big beautiful and clean room with amazing view on yachts." Have a question for Best Western Plus Island Palms Hotel and Marina? "Amazing hotel would highly recommend this hotel ." "Rooms were clean and had great views." 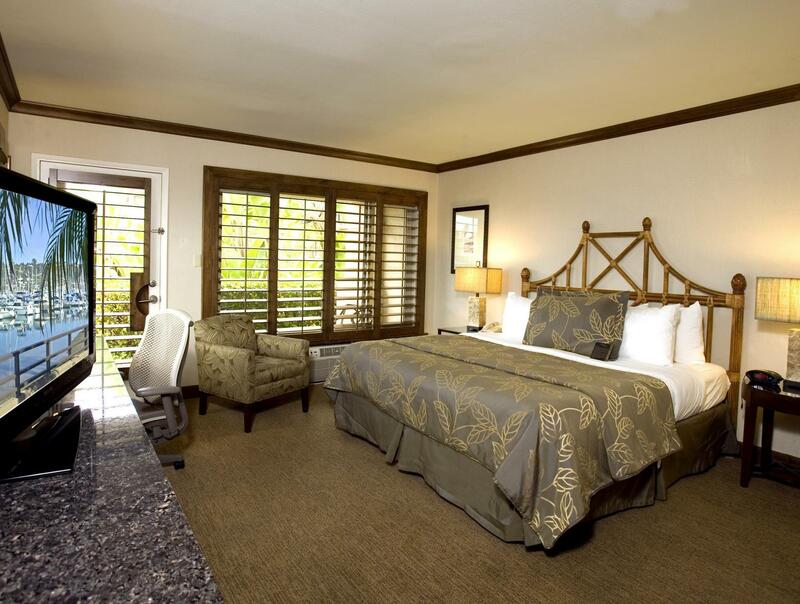 This international class hotel, situated on Shelter Island, is located within a close proximity to tourist attractions. 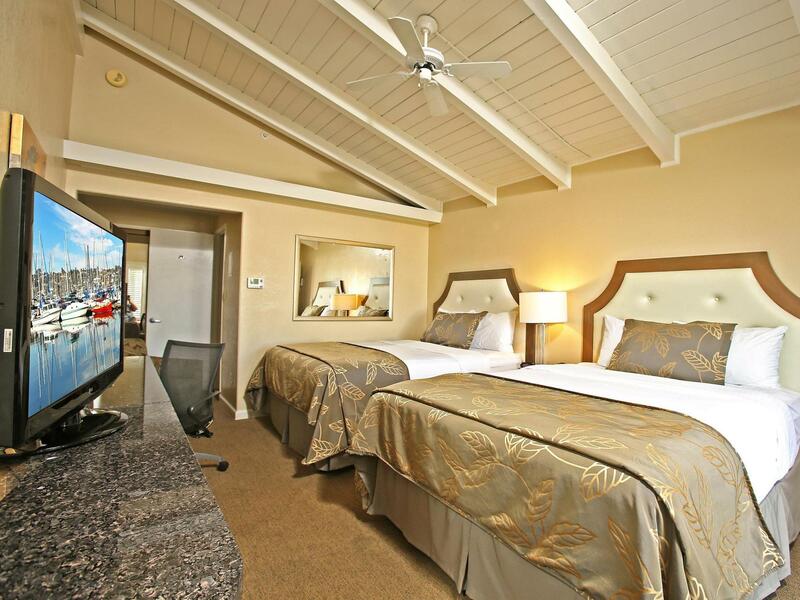 The hotel is surrounded by San Diego bay and offers easy access to the adjacent mega marina. A short commute will bring guests to the San Diego Zoo and attractions like Sea World, the USS Midway, and Petco Park. The hotel features modern amenities and includes signature Sweet Dreams Beds. Guests will enjoy easy access to a multitude of fascinating sites, including cultural, historic, and tourist sites as well as a location just a few miles from the airport. The rooms are adorned with a pleasing nautical theme that uses interesting colors and supple fabrics to promote a sense of well being. The Best Western Island Palms Hotel and Marina is ideal for travelers that want seaside accommodation. "It is a hotel with really nice view, located on the side of..."
Everything was great about our stay, the hotel, our room, the view and location. !we will definitely come back! Great property! Very beautiful location! Bathroom wallpaper was peeling up, tile had mold. One bedspread had red 'taco sauce' (??) stains , clearly NOT clean. Refrigerator was HOT when i came in, so I went for ice... NO ICE ON MY FLOOR. Teens were wandering the parking lot and hallways with no security guard and no parent, so i was afraid to go upstairs to trek for ice, so nothing cold to drink for hours. Had to park in a parking structure, pretty scary for a old woman alone. Staff told me to park at one end, my room was at the other end, so he didn't even know his own property and I had to hike with the luggage and supplies looking for a room number twice as far as I should have. I was like a Motel 6 with a Sheraton price tag. Booked for friends, they were satisfied with everything in the hotel. Big beautiful and clean room with amazing view on yachts. Nice pool. During staying 2 days we got just 1 shampoo and conditioner, didn’t get toothpastes and toothpastes. We had a room at the back of the hotel overlooking the marina. Very chilled with humming birds flying around. The weather was the only thing that I disliked. Rain and windy the whole time. This hotel was great, staff were friendly and helpful and the room and facilities were lovely! Would have loved to stay for longer! It is a hotel with really nice view, located on the side of beach. Amazing hotel would highly recommend this hotel . The rooms are extremely comfortable and modern . Staff are professional and helpful. It should be more than 3 star . Great value for money . Onsite restaurant and bar is also brilliant . Can't wait to return . It was overall good stay. The 2nd stay this year in this hotel. Love the location at the shelter island. Quiet environment,good yacht and sea view. Spacious room with full kitchen. Friendly and very informative staff since checked in, loved the room and the view, great foods from the restaurant, tidy garden, cute bar with good drinks and snacks until midnight. Value for money. The room are very cheaply built, so everything happening on the corridor (or in the neighbouring room) is perfectly audible - and whatever you do is heard by others. The room was small and dark, no real locker and the beds were too soft (even on the hardest setting). It was on the ground floor next to a quite busy boardwalk, so opening the blinds in order to let a little bit of light in resulted in having dozens of interested passers-by checking us out within the room. The location is great (hard to get there and away, other than to the airport, there's no public transport), but the rooms were unsatisfying. Enjoyed our stay here. Check-in was friendly, rooms new and comfortable. Only drawback was hearing the noise from other rooms and the hallway. Front Desk staff needs more concentration, they booked me a room and the following day another customer opened up the room while i was in the room because he was given a key, the staff did not either update their system that the room is occupied or their system is not efficient to track the room status. Rooms in the corner, by the Door Exit, are very noisy, exit doors slams with a loud noise when guest is leaving the building making it impossible to sleep or to relax. I raised this concern to the hotel front desk. Also bathroom flush tanks are programmed to flush automatically every while and then which makes it difficult to sleep with that noisy flush tank sounds. Location and rooms are good so the hotel management should improve the service by solving all these mentioned issues and then it will be one of the best hotels.